[Adapted from a Jin Yong novel] A pervert with great martial arts skills, a klutz of a nun, a dojo master with a bombastic imagination, a volatile code of chivalry, a mentally unstable patient who flippantly gives out internal energy… and so many experts who’re castrated? Hehe—So this is murim?! The story is all over the place..
Read 35chapters and still don’t know what’s happening! @zukA…. sadly, the people who took this over ruined it.. The original Manhua was amazing and stayed true to the Novel.. This webtoon is obviously only in it for the money as they are tarnishing Jin Yong’s Novel.. So Ho Kang Ho should not have been cancelled. 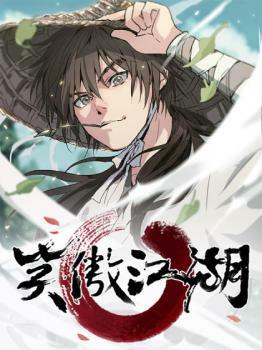 This manhua is based on my favourite Louis Cha (aka Jin Yong), RIP, wuxia novel. Like some of his other novels, there will be a degree of disorientation for the reader at the beginning because we are dropped straight into a plot where everything happens all at once. The confusion is deliberate but everything will eventually become clear as we focus on each of the plot strands… if the manhua stays true to the original source, that is. I don’t understand the story either. Hmm, I think the writer is wasted. it’s as PEABLE said. readers are dropped in the middle of the story with much development already taken place. Its gets very wordy when naming everyone which becomes a bit cumbersome to read but the story is good so keep reading on! I’m remembering the characters from the 1984 TV series with Chow Yun Fat!